After huge success of last years’ literary festivals in Lahore, Karachi and Islamabad, this year LLF team is warmed up more and hoping to see more people in festival; despite of the bad security conditions in Lahore. Few days back a massive explosion in Lahore killed five people and many injured, but for the love of literature, people around the world and Pakistan are gathering in Lahore to attend this festival. The Festival aims to bring together, discuss, and celebrate the diverse and pluralistic literary traditions of Lahore, a city of the arts, activism, and big ideas. LLF features discussions on a variety of subjects; fiction and nonfiction writing, music, painting, filmmaking, architecture, politics; to reclaim and employ Lahore is rich and varied literary traditions. Ayesha Jalal will lead the inaugural session. 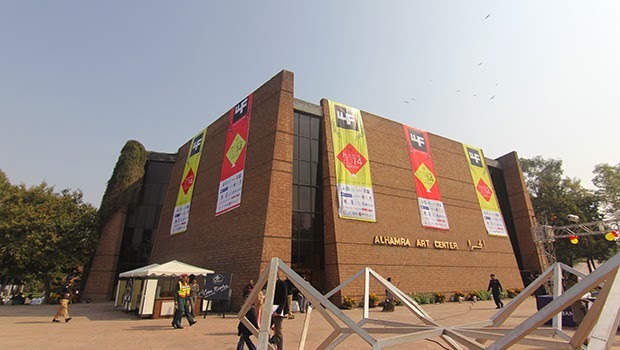 It is one of the biggest and acclaimed literary festivals of Pakistan. Future of TV News: Journalism or Mirch Masala?